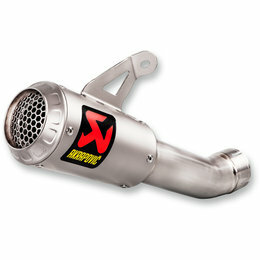 The flagship exhaust system in the range, the Evolution Line is used by race teams. 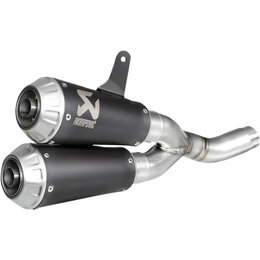 Manufactured from lightweight carbon fiber and titanium, the Evolution Line exhaust system for the Kawasaki Ninja H2 takes performance to a whole new level. 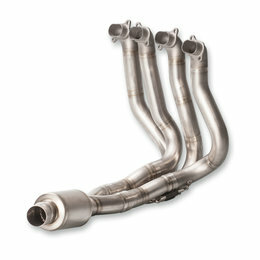 For perfect performance, throttle response and durability special developed mapping from our partner Dynojet is recommended. Please visit http://www.powercommander.com/powercommander. 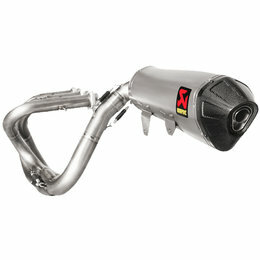 Constructed from high-grade ultra lightweight titanium Grand Prix-inspired design has a smaller sportier appearance Made from race-proven materials Simple plug-and-play installation means there is no need for remapping Designed for track use and markets where EC/ECE-type approval is not required THIS PRODUCT DOES NOT MEET EMISSION COMPLIANCE REQUIREMENTS FOR STREET OR HIGHWAY USE. 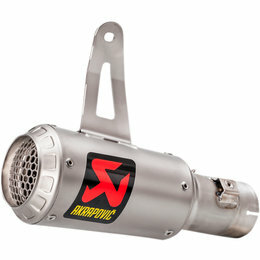 Constructed from high-grade ultra lightweight titanium Grand Prix-inspired design has a smaller sportier appearance Made from race-proven materials Simple plug-and-play installation with remapping needed Designed for track use and markets where EC/ECE-type approval is not required THIS PRODUCT DOES NOT MEET EMISSION COMPLIANCE REQUIREMENTS FOR STREET OR HIGHWAY USE. Carbon fiber muffler and end cap Passenger footrest needed for mounting needed THIS PRODUCT DOES NOT MEET EMISSION COMPLIANCE REQUIREMENTS FOR STREET OR HIGHWAY USE. 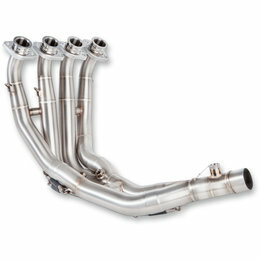 Constructed from lightweight carbon fiber and titanium Supplied with a lightweight carbon fiber bracket and an easy-to-follow mounting manual Plug-and-play system needs no remapping or other parts THIS PRODUCT DOES NOT MEET EMISSION COMPLIANCE REQUIREMENTS FOR STREET OR HIGHWAY USE. 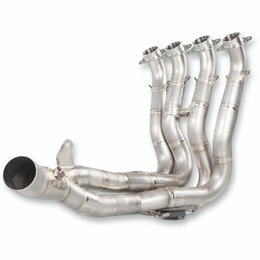 Full titanium link pipe and no pre-muffler Grand Prix-inspired conical pipes Outer sleeves are coated black for a sporty, uncompromising look THIS PRODUCT DOES NOT MEET EMISSION COMPLIANCE REQUIREMENTS FOR STREET OR HIGHWAY USE. 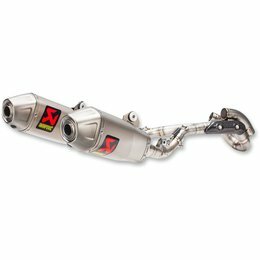 When mounting the optional headers to the EC/ECE type-approved Slip-On Line (Titanium) exhaust system, the EC/ECE type approval is no longer valid. 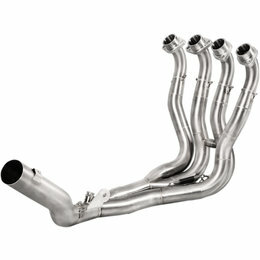 With optional headers, ECU remapping is required. 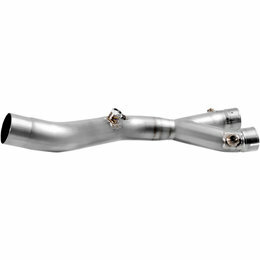 Stainless steel For use with Akrapovis Slip-On exhaust system THIS PRODUCT DOES NOT MEET EMISSION COMPLIANCE REQUIREMENTS FOR STREET OR HIGHWAY USE. 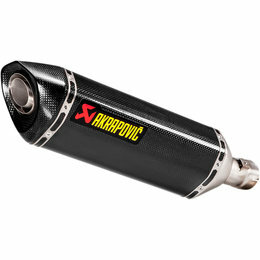 The Akrapovic Slip-On system is designed for recreational riders and delivers an outstanding combination of performance, design, and durability plus the well-known Akrapovic quality, ease of installation, and genuine affordability. 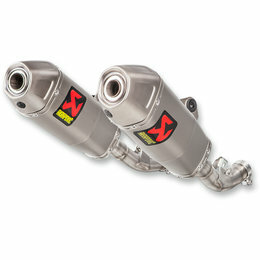 Exhaust systems meet FIM noise limits, feature a more durable welded bracket and titanium end cap. 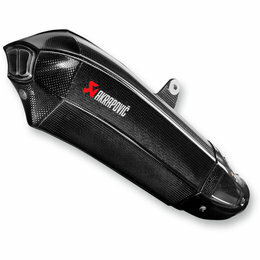 The Akrapovic Slip-On system is designed for recreational riders and delivers an outstanding combination of performance, design, and durability plus the well-known Akrapovic quality, ease of installation, and genuine affordability. 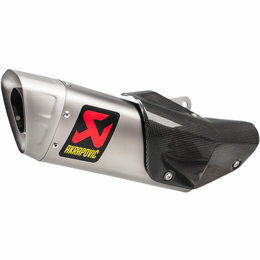 Akrapovic exhaust systems meet FIM noise limits, feature a more durable welded bracket and titanium end cap. 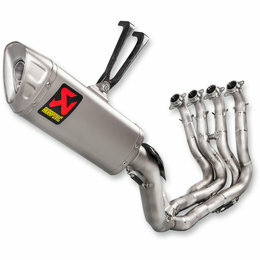 A complete high-quality exhaust system made from stainless steel tubes and atitanium muffler outer sleeve with precision handcrafting and attention to detail. 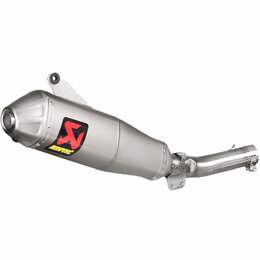 Its unique design yields the maximum output for each specific motorcycle model while significantly reducing overall weight for top performance. 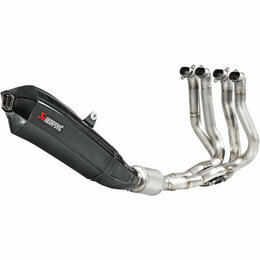 It’s identical to the Akrapovic top-range Evolution Line exhaust system. The only difference is in the material used. 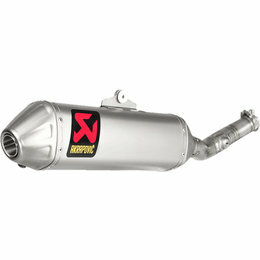 Exhaust systems meet FIM noise limits, feature a more durable welded bracket and titanium end cap. 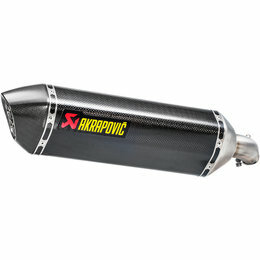 The flagship of the Akrapovic exhaust system range, used and tested by Akrapovic top factory teams in motorcycle racing. 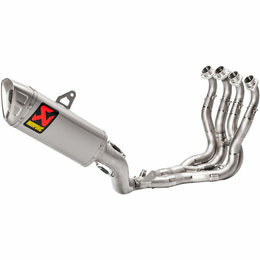 It’s simply the finest exhaust system available. 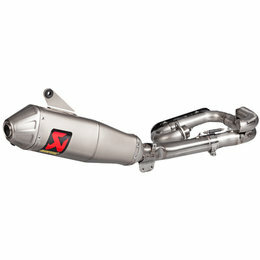 Each model is unique and dedicated to maximizing the engine’s performance, while reducing overall weight for optimized overall handling of the motorcycle. It is made entirely of titanium. 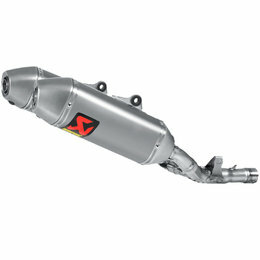 Exhaust systems meet FIM noise limits, feature a more durable welded bracket and titanium end cap.